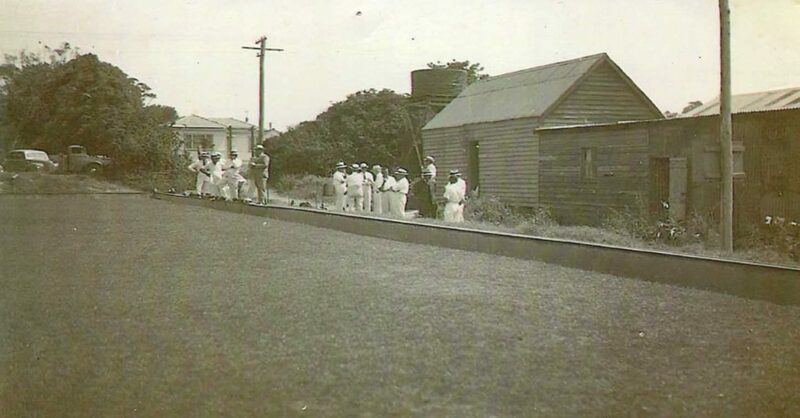 The story of the Harbord Bowling Club in one of Sydney’s northern seaside suburbs is a magnificent reflection on the pioneering spirit that is typical of bowlers throughout the whole of Australia. 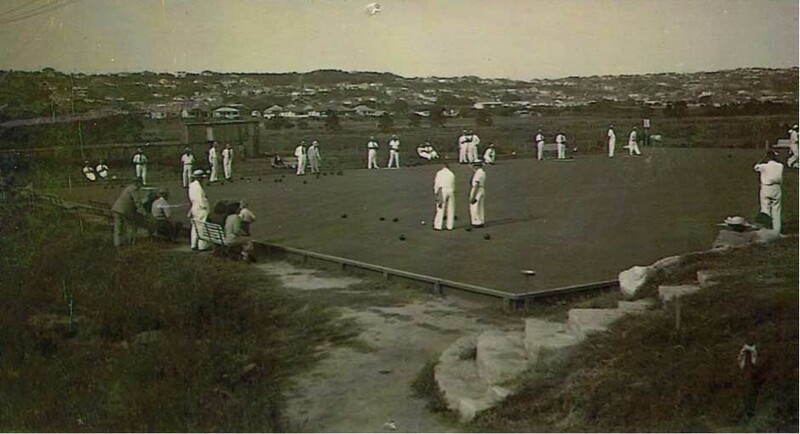 Early in 1946, the Harbord Club was formed when someone suggested to Tommy Judge, over a drink at the local hostelry, that a bowling Club should be formed in the district. Judge who was in the RAAF during the war, was skeptical at first, but then undertook to do his best to get the ball rolling. 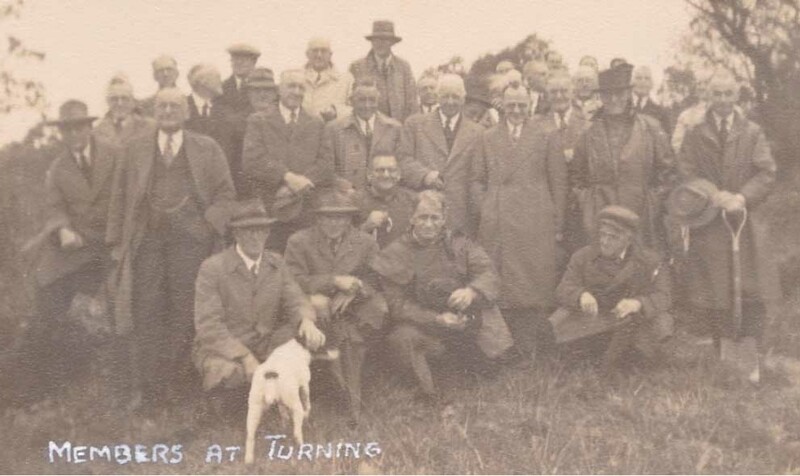 On the 19 March, 1946 Tommy Judge called a meeting but only nine enthusiasts turned up. It was heartbreaking so he undertook a house-to-house canvas of the suburb in an effort to recruit members and on the 1st of June in the same year a second meeting was held with over twenty people in attendance. A committee was formed and the Club’s first president was Basil Schaaf with Tommy Judge as his hard working secretary. 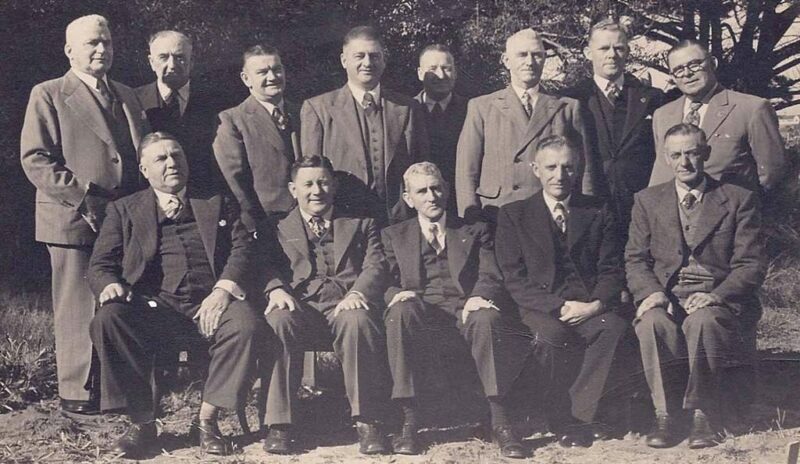 A further meeting was held on the 1st of June, 1948 and Gerry Garling was elected president, with Basil Schaaf, Wal Batho, Lou Pimblett and Stan Leonard as vice-presidents. • That a committee of six be appointed with all the powers to take whatever steps necessary to establish this Club. The first essential for consideration was the question of how the Club was to be financed and it was decided to offer Debentures of £ 10 each for subscription from any interested persons. The response to this was slow in the beginning but as the scheme developed it was truly remarkable the way subscriptions came in, and here a grateful tribute must be paid to those who subscribed so cheerfully before we even had a site for our Club. They made the Club possible. 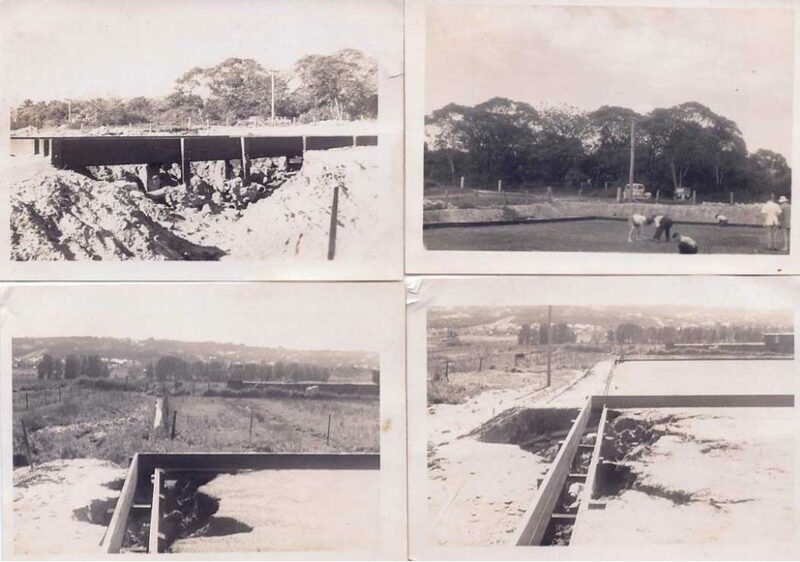 Tommy Judge had made enquiries about securing land in the public parks of the district but the then Warringah Shire Council was apathetic. But Judge couldn’t wait for the council so he bought with the aid of his colleagues, 2.5 acres of swamp land from Charlie Holloway for the sum of 1200 pounds. This land looked a sorry sight for a bowling Club. In rainy weather it was a quagmire and had been used as a Chinese market garden until 1913 when it was bought by the Holloway Brothers who were in the business as wholesale bulb merchants. 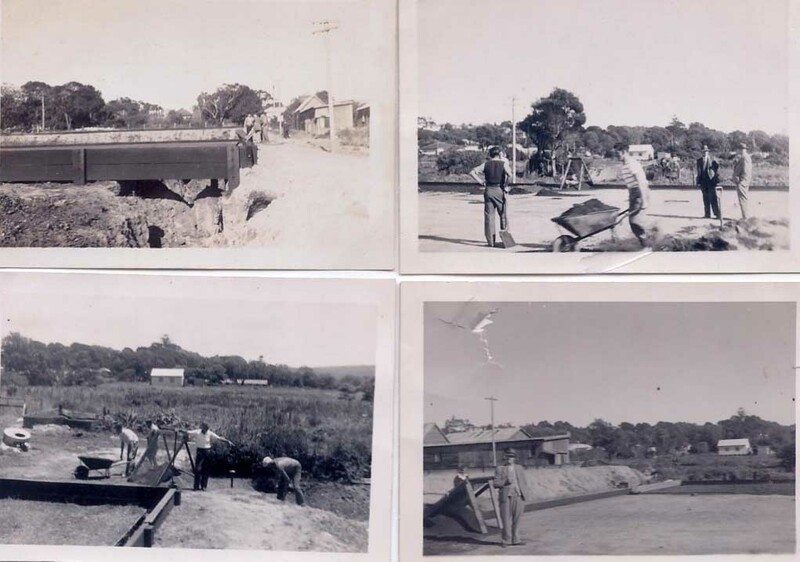 Later, more land was bought from Monty Atkins who was well known for his pony rides on Manly Beach. Monty kept his ponies in a stable on land which is now the No 3 Green. The land which is now No 4 Green and the greenkeepers cottage was next purchased from Fred Holloway. 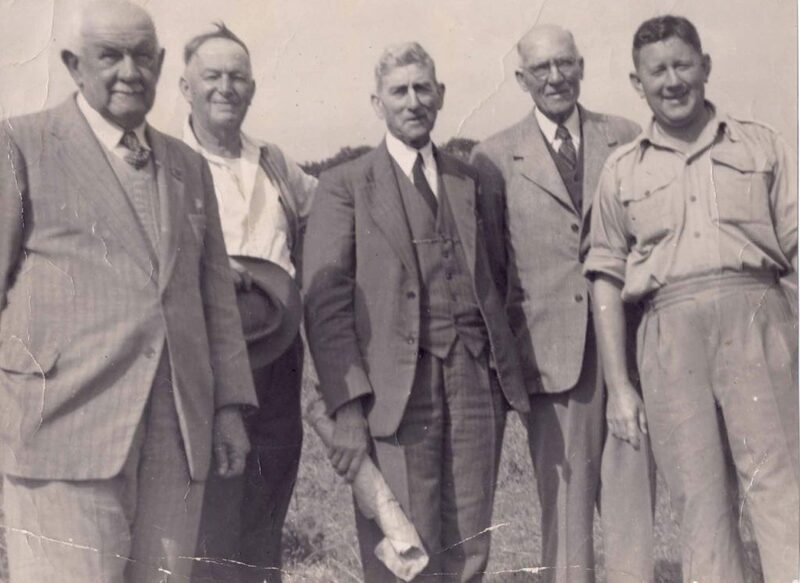 Having at last secured a site it was decided to hold a ceremony on the 18 June 1949 for “The Turning of the First Sod” and Mr Lionel Roseley was invited to officiate on behalf of the Association. Mr Roseley insisted on going on the ground and actually turned the first sod. Afterwards they adjourned to the Institute where a celebration was held. An appeal was made for Debentures and the amazing sum of 1000 pounds was subscribed. Aided by voluntary effort from its members who had grown to 125, Judge commenced to get the greens underway. But the problem of a Clubhouse was a difficult one. The officials didn’t have enough money at the time to build one. The next move was to commence construction of the Greens and it was here that the wonderful spirit of the members manifested itself. Fellows who had never handled a pick or a shovel in their lives could be seen at weekends digging trenches, screening soil, wheeling barrow loads and doing all kinds of laborious work in the most cheerful manner. The greatest difficulty was the swampiness of the soil. This was overcome by large quantities of sand brought each night by Sid ‘Thirsty’ McFarlane and Arthur ‘Fatty’ Riddle. 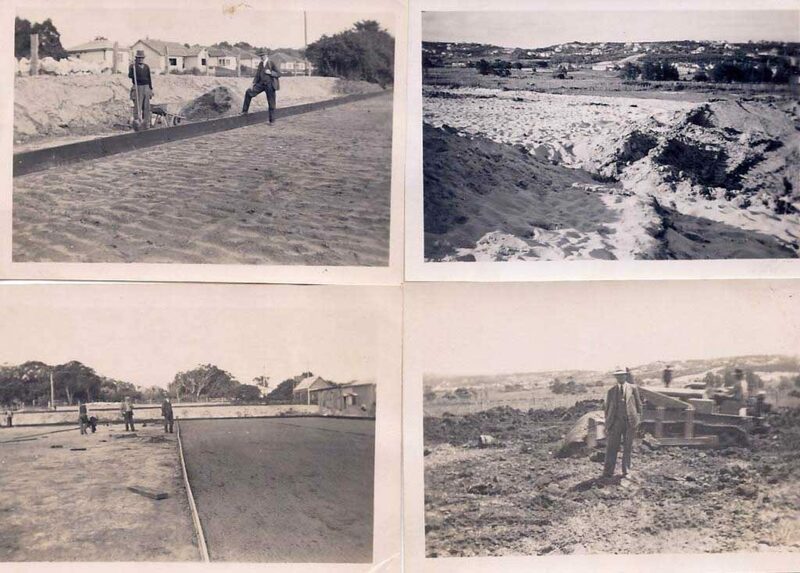 It turned out later that they filled a truck with sand from the sand hills at North Curl Curl each night, working only with shovels. On the ground was an old tin and wooden shed that had been used by the Halloway brothers as a bulb shed. 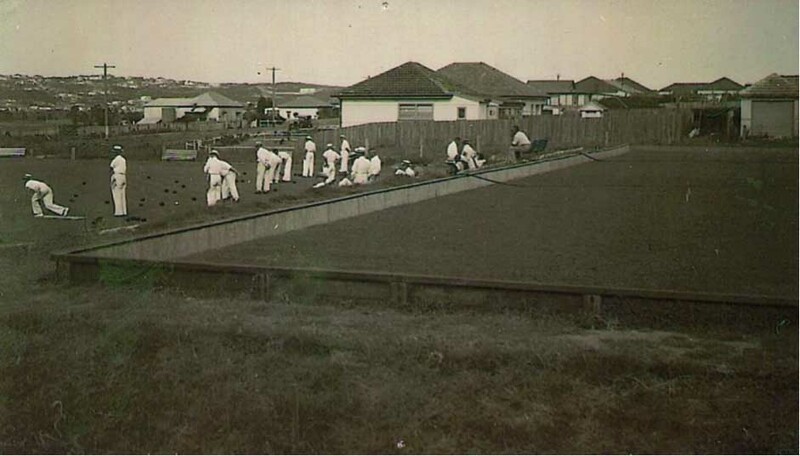 That old humpy became the first Clubhouse of the Harbord Bowling Club. They gathered, sometimes 60 strong, in a room12ft by 25ft. 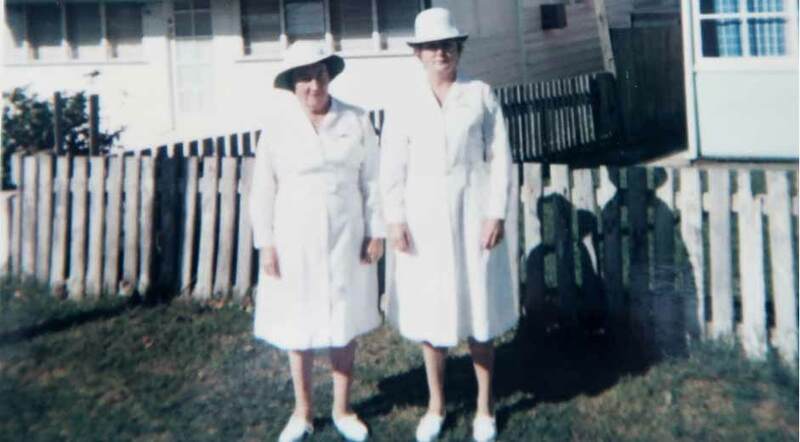 Wives of the bowlers, who have always looked after the Club’s catering, cut sandwiches and made afternoon tea in smaller room next door to the main club room. After most of this voluntary work had been completed and before our greens were ready for play we were very graciously invited by various Clubs to play on their greens and this was gratefully availed of by our members. 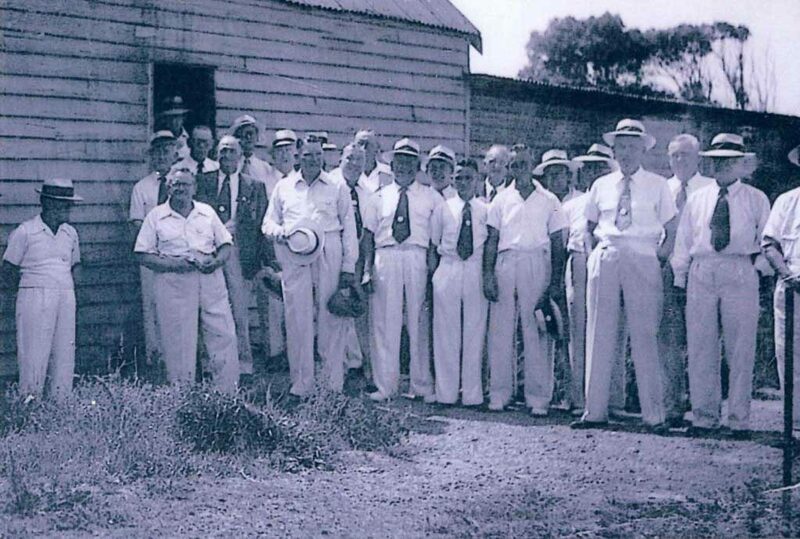 Chief among these clubs were Dee Why, Manly, Newport, Warringah, North Sydney, Wollstonecraft, Balmain and Fairfield. On the 23 December 1950 they commenced play on the greens and what a grand day it was for all those who had done so much, both financially and otherwise, to make it possible. 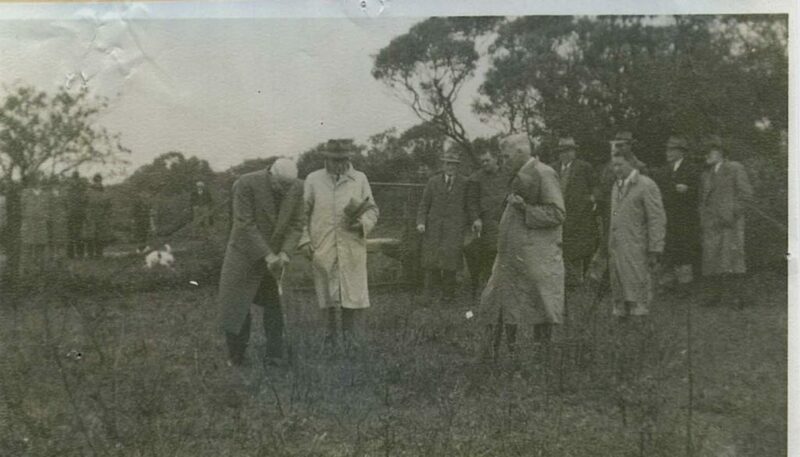 The construction of the Clubhouse was commenced during July 1952, and was officially opened by Association Vice President Mr. Tom Shakespeare. This day is a proud one in the history of Harbord Bowling & Recreation Club. On the 16th May, 1953, the new Club house, with dance floor, locker room, bar, cool room and all modern conveniences was opened. And, as if to show how proud the Club members were, they won a new flag to go on the building, the No 4 Metropolitan Pennant. Among 16 players who won the pennant were Philo Martin, Roy McCarthy, Tommy Judge, Allan Collerson, Gorgon Burgess, Harold Crawley and Fred Steed. Of these, Philo became our greatest ever player, while Roy McCarthy, Gordon Burgess and Allan Collerson later became Presidents of the Club. Tommy, who had been the Club secretary for nine years, was made a Honorary Life Member in 1957 and Reg Hancock, treasurer for all those years was also honoured a year later. Another of our prominent members at the time was Keith McWilliams, later chairman of McWilliams Wines. He started the Keith McWilliam Trophy in 1953, and in its first year it was won by a team skipped by Charlie Rose. The name of the competition was first changed into the Keith McWillam Tournament and later into the McWilliam’s Wines Tournament and was still going strong after 43 years after its inception. The first of many Diggers’ Days was held on April 26, 1954 and members were issued with a rum ration under a big marquee set up in front of the clubhouse. Late in the Fifties came the first Harbord Surf Club Days. The idea came from former first grade Union player Bill Barry and his close colleague Chad Paton. Aided by Keith McWilliam who provided several full sized surf boats over the years as the major trophy, the event became so popular that by the early Sixties it was looked upon as the biggest one-day single club bowling event in the world. The Surf Club Day was held in September each year and on several occasions the players have numbered more than five hundred, filling the four greens in two relays. In 1959, there had been a lot of additions and improvements to the Club either completed or put in hand. The Club erected a cottage for the Greenkeeper which has added considerably to the value of the property and a fourth green was under construction. The Seventies were very important years for the Club because firstly, the Women’s Club was formed, secondly the Club house was completely rebuilt and thirdly the tennis courts were constructed and became a very important source of revenue for the Club. 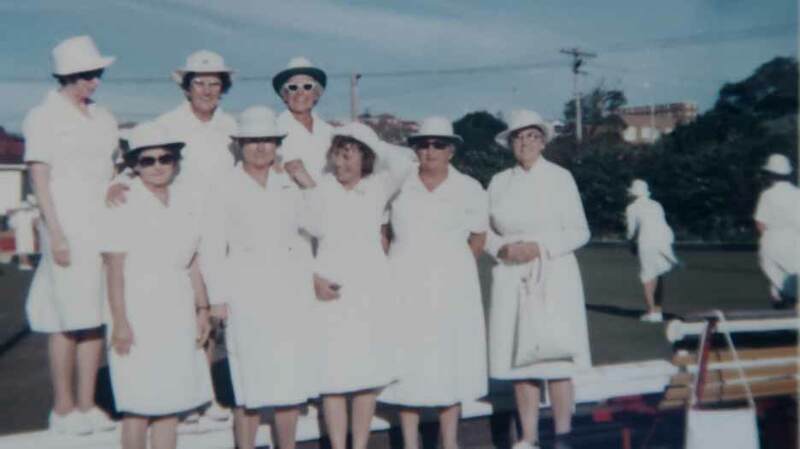 The Women’s Bowling Club was officially launched at 8.00pm on Wednesday, 4 April, 1973 at a meeting held at Harbord Bowling Club. There was an attendance of 132 women at the meeting and a large majority of these indicated that they had never played bowls before. On the 16 May a further meeting was held. 118 ladies joined the Club and Daphne Richards was elected as the first President.